More Facebook Giveaways for you to enter! Fun, Fun, Fun! This one is not for you adults - it is for your children, ages 13-18 only! Also, it's a new category to be added to the list - Instagram. There will be weekly prizes and one Grand Prize, as listed. Definitely a sweepstakes you will want to bookmark and enter regularly! "Shine on with Jacob Latimore and Honeycomb"
Now that's what you call a LOT of prizes! Wishing you all GOOD LUCK! Don't forget to bookmark us or like our Facebook Page for updates! * Reminder - we also are having our own Giveaway this month. 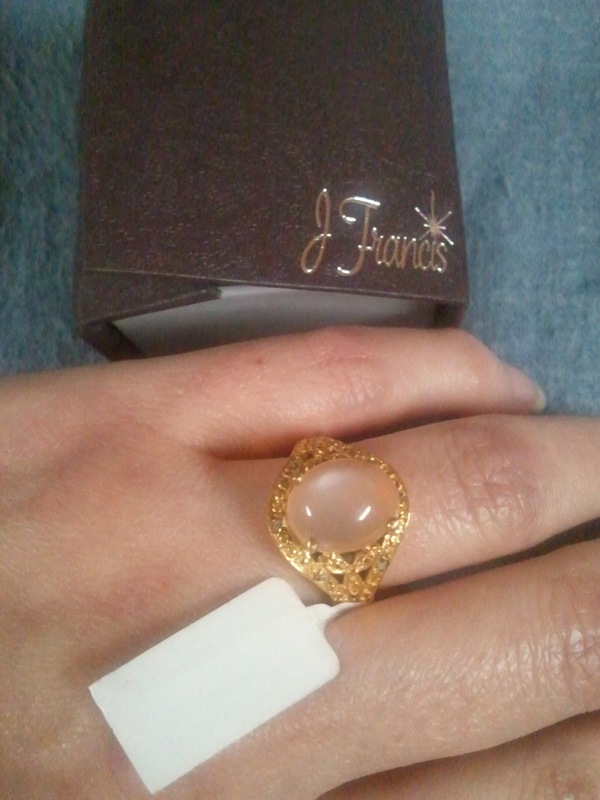 (The J Francis Gold Overlay Moonstone Ring - which expires 5-27-14) Check the left sidebar for "Our Giveaways"
More Facebook Giveaways for you to enter! Good Luck! (1) Grand Prize winner will receive a 5 day/4 night trip for 2 to Honolulu, Hawaii, plus a years worth of flowers. Once again, we have a new category to add to the list - it is Blog Giveaways. With these first two I have listed, both use the Rafflecopter Entry form (as I use for my Giveaway) so you have multiple ways to enter. Also, if you are having a Giveaway on your blog - or would like to see a specific Giveaway listed on this site, use the "Contact Us" form on the left sidebar and send us the information. We will check it out. Remember to Bookmark Us or Like our Facebook Page for updates! They're giving away a $100 Chico's Gift Card - Every Friday - All Year Long! (1) J Francis Gold Overlay Moonshine Ring Size 6. However, I would highly recommend it. 1) There may be times I run Giveaways on the Facebook Page only, and 2) There are already times I post free samples on the Facebook Page only. The winner will be notified within 3 days of the end of the Giveaway. If the winner does not respond within 72 hours, an alternate winner will be chosen. 1. Due to many requests for different sizes - I must inform you that we do not have any other sizes in this ring. 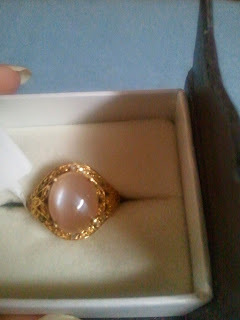 There is 1 ring, and unfortunately, it's a Size 6 - as stated in the Rafflecopter Entry Form. 3. I have added a 3rd way for you to earn an entry - Share on twitter. 4/25/14 Added yet again, another way for you to earn entries. Follow our (Brand New) Twitter Account @Free_Or_Win and you will receive 3 entries. You guys wanted more Free Stuff and Samples - and I've found the site for you! Samples are added regularly and they are also verified before being added to the site. Sounds great, right? Well it gets better. How can it get it better, you ask? I'll tell you. They also have Monthly Giveaways. Yeah, I have your attention now, don't I? This month the Giveaway is an Amazon Fire TV. Be sure to bookmark us - or like our Facebook Page (on the right sidebar) for updates. These are both Facebook Sweepstakes, and both expire this month. (1) Grand Prize winner will receive a year's supply of Fla-Vor-Ice! Facebook Giveaways for you to enter. Entrants receive a coupon just for entering! Our Newest found Giveaways! We have listed Crayola Prize Baskets, just perfect for the children with Easter just around the corner! Enter to win a family Vacation for 4 to Myrtle Beach, SC & Crow Reef Resort. Plus receive a year's supply of your favorite Purex detergent! Purex + Stride Rite - Have Good Clean Fun! (5) Grand Grize winners will each receive a $100 Gift Card to buy Stride Rite Made 2 Play machine washable sneakers, plus receive a year’s supply of Purex with Dirt Lift Action detergent. Once our Facebook Page reaches our first Goal of 100 Likes, we will be having our very first Giveaway. This will be pretty soon, as we already have 90+ likes. After the first Giveaway, we will be having subsequent Giveaways as we reach new Goals. To keep informed of these Goals, of our Giveaways and how to enter, free samples, etc. (that I do not blog about) - then you really should Like our Facebook Page. With a small audience to start off with, your odds of winning the first couple of Giveaways will be great. You have nothing to lose. Hope to see you on facebook soon!